A man convicted of killing his three daughters and first wife has filed his intention to appeal. It's Mohammed Shafia's first step in the process toward filing a full appeal at a later date. Shafia, 58, joins his son Hamed, 21, who earlier this week filed an inmate notice of appeal. The son, father and second wife Tooba Yahya were convicted Jan. 29 of four counts each of first-degree murder in the deaths of Shafia's daughters Zainab, 19, Sahar, 17, and Geeti, 13, and his first wife in a polygamous marriage, Rona Amir Mohammad, 52. The bodies were found June 30, 2009, in a car at the bottom of a lock in Kingston, Ont. The judge described the killings as being motivated by the Shafias' "twisted concept of honour." - Judge Robert Maranger "erred in admitting the evidence of Dr. [Shahrzad] Mojab as an expert with respect to honour killings." - Maranger erred in admitting hearsay evidence "of the four deceased women." The trial heard from numerous police, child protection and school officials who testified the girls told them about family tensions and their fears. Relatives of Rona testified she had told them she overheard Shafia talking about plans to kill Zainab and "the other one," and she feared that was her. - Maranger erred in his charge to the jury by characterizing the original story all three told police as "post-offence conduct." 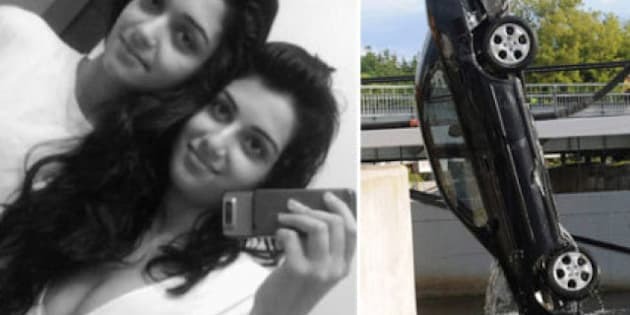 Shafia, Yahya and Hamed told police that Zainab took the car keys and must have taken the other three for a joy ride in which they accidentally plunged into the canal. The Crown alleged it was a story the three had concocted to deflect suspicion from them. Shafia is not fluent in English and it's not clear whether the handwriting on his notice of appeal is his, or whether he had help in filling out the forms. The documents filed by both father and son indicate they have not yet been moved to a federal prison following their convictions from Quinte Detention Centre in Napanee, Ont. Yahya has not yet filed an inmate notice of appeal, but she had 30 days from the date of conviction to do so. On the day the verdicts were delivered, Hamed's lawyer, Patrick McCann, indicated he believed all three would appeal.